Home » Laurie’s Tips » Is a Tankless Water Heater the Best Choice for My Home? Weighing your options for a new water heater? Undoubtedly you have heard about tankless water heaters and have wondered if it’s an option for your home. If you need help making a decision about the type of water heater would be the right one for your home, Steele Plumbing is happy to answer any question you may have. We have provided the San Diego area with professional plumbing services since 2003. Our services include water heater maintenance, repair, and installation services. We can provide you with the advantages and knowledge of tankless water heaters to help you make the decision. Growing in popularity in the United States, tankless water heaters have been the norm in Europe and Japan for years. Unlike a traditional water heater that continually heats water, tankless units use heat exchangers, which are activated by the incoming flow of water, according to How Stuff Works. They are available in electric, propane, and natural gas. Tankless water heaters can be point-of-use to heat water for one or two outlets or whole-house for larger homes. You will need to know the flow rate and temperature rise to know what kind to get. Luckily we can help you calculate your flow rate! For flow rate, add up the gallons per minute (GPM) for all of the water fixtures that you may need at one time. To calculate your temperature rise, subtract your groundwater temperature from the temperature you would like the water to be. What are the benefits and drawbacks of tankless water heaters? 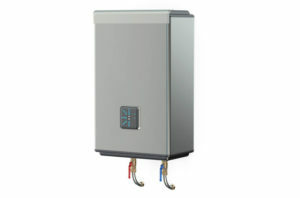 The greatest advantage of a tankless water heater is that you will never run out of hot water. Because there is no standby heat loss, this type of water heater is more efficient, and this means you will see as much as a 20 percent reduction in your utility bills since you are only heating the water you need to use. Tankless water heaters typically last five to ten years longer than traditional units, and you will never have to worry about your tankless unit bursting and flooding your home. Operated by remote control, tankless water heaters take up less space, and some units can even be installed on walls. Even though most units come with a federal tax rebate of $300, the biggest drawback of a tankless water heater is the cost. These water heaters may cost as much as three times as a traditional tank water heater. You also may need to add a larger gas line or an additional electric circuit to give the unit enough fuel. Additionally, your flow rate should be .5 GPM or higher to activate the heat exchanger. 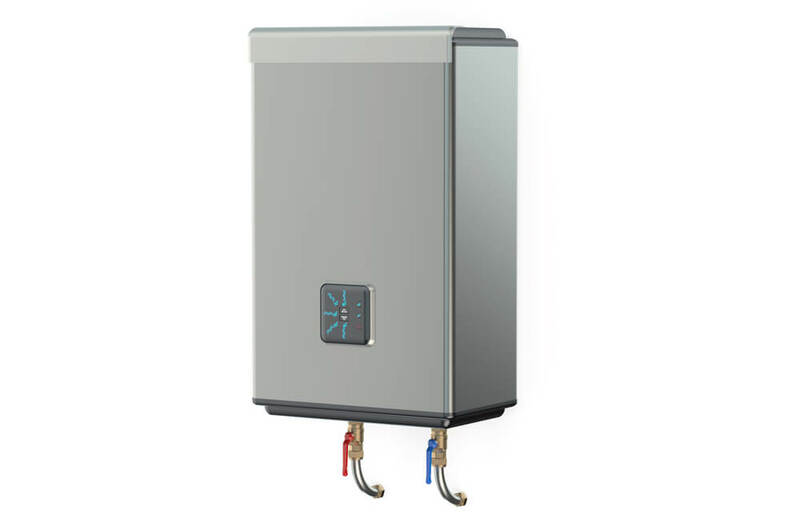 If you are looking for a long lasting and efficient water heater that never runs out of hot water, a tankless unit may be the best choice for your home. Make sure your new tankless water heater is properly installed by contacting us at Steele Plumbing to schedule an appointment for our professional installation services.